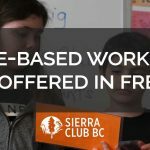 Mission: Transition is a Sierra Club BC podcast exploring British Columbia’s move to a new clean energy economy. 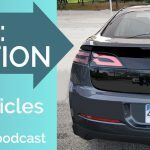 Mission: Transition is a podcast that explores this exciting transition to the new clean energy economy. This new mini-series from Sierra Club BC brings you stories from innovators across the province who are moving ahead with solutions for housing, transportation and renewable power. Moving beyond fossil fuels to the next economy is an opportunity to think about the ways we work, the ways we live and our values for the future. Your hosts Caitlyn Vernon and Susan Elrington hear from workers, business owners and everyday people who are leading the way as we chart our path forward. Subscribe to Mission: Transition today at sierraclub.bc.ca/podcast or on your favourite podcast app. This is a conversation. We hope the ideas and thoughts exchanged will inspire you, your boss, your neighbours, your union or your school to join the clean energy economy. Tag @SierraClubBC on Facebook and Twitter and tell us what you think about clean energy in BC. You can subscribe to Mission Transition on iTunes or wherever you get your podcasts. Check out more episodes of Mission Transition and pledge your support for clean energy at sierraclub.bc.ca/podcast.